Tonight is the big night! 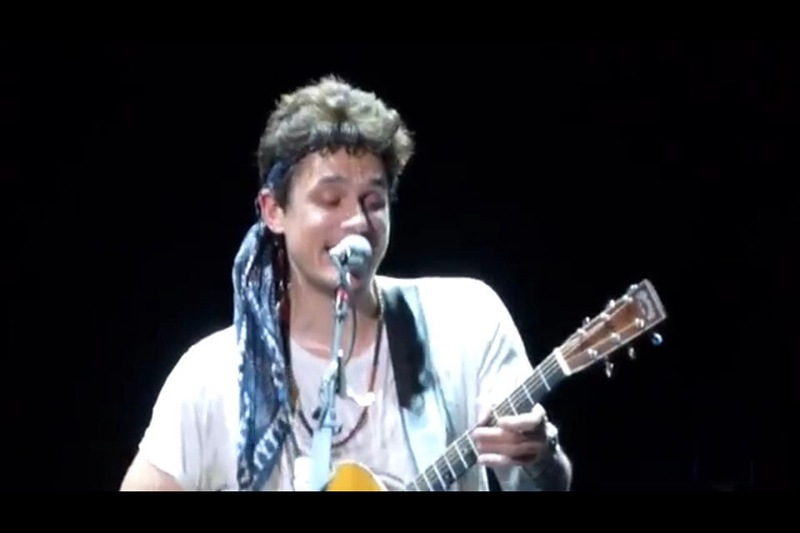 John Mayer’s Born and Raised tour resumes in Lincoln, NE. I am soooo envious! Morgan & I want to see him again so damn bad!!!! I think this John Mayer obsession may be going a bit too far! LoL Well we hope he got a little rest while he was out cruising the world with Ms. Perry. News reports make it sound like she & John Mayer have only just returned within the past few days! I know my vacations abroad certainly aren’t restful ! Nonetheless, I do hope those of you seeing him tonight & throughout the next month before he breaks again have a smashingly good time! 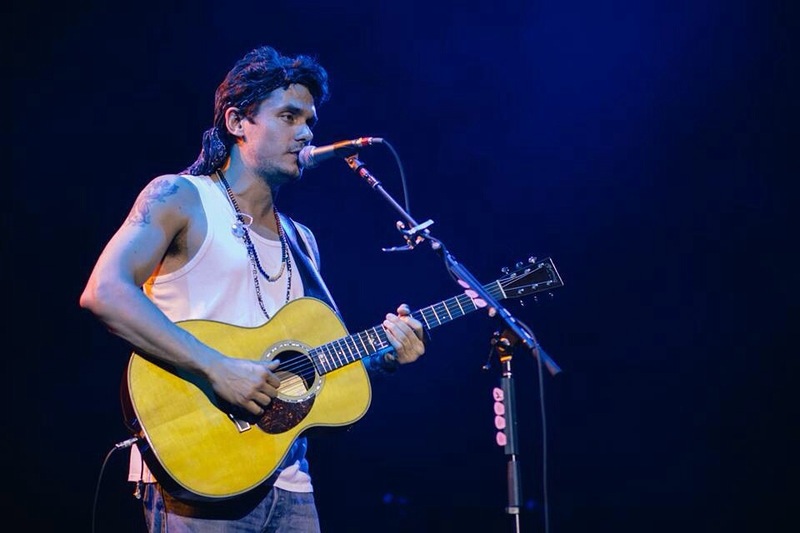 Don’t forget tonight live @ 7:00pm EST is John Mayer’s dashboard confessions on Tumblr. So get your questions in to John’s Tumblr & maybe he’ll pick yours! They don’t indicate how long this Q&A will be, but it can’t be too long as he does have a show tonight. The following was released today on John Mayer’s website. Sounds kind of cool! “John Mayer signed up for Tumblr four years ago this month. For the very first time, he is turning on the “ask” feature for a brand new, live Tumblr interview series that we call Dashboard Confessions. Follow JM, drop him some good questions, and tune into your dashboards on Friday, November 22, at 7:00pm EST to watch the interview before he kicks off his US tour. Morgan & I both follow John Mayer on Tumblr & we recently noticed that he removed all of his old posts & seems to be making his Tumblr account strictly for his own photography which really is quite captivating. So when you visit his page it certainly doesn’t look like he’s been there 4 years. Anywho, this “dashboard confessions” is coming up in just 2 days & I don’t see where they have edited his page to send in questions. There is only a “fan mail” link. Maybe we’ll find out soon, but I wanted to fill you all in just incase you’re interested. Good luck! 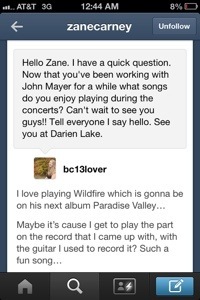 My daughter, Morgan got a Tumblr message from John’s new guitarist, Zane Carney! I thought that was pretty effing cool!!! She’s thrilled!